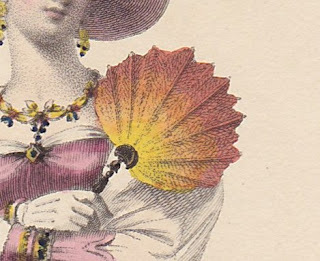 Back in October we looked at fans from the first two decades of the 19th century, and they were...well, kind of on the dull side, even if a vital thing for ball-going ladies to carry. 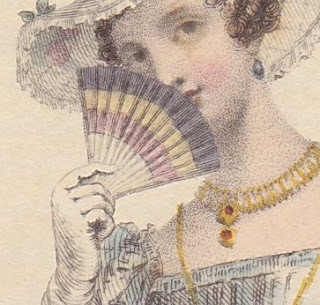 Fortunately for us, fashionistas of the 1820s and beyond woke up to the fact that fans could be a lot more fun. Look for lots of images rather than commentary, though I’ll try to supply original text if I have it—the point is to be able to examine multiple examples of each item. 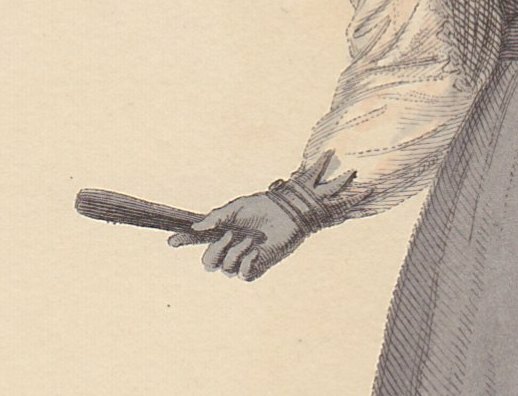 Images are drawn from my collection of prints from British publications including Ackermann’s Repository, La Belle Assemblée, and others. However, Ackermann’s had the most detailed plates, so the majority of images you’ll see will be from that publication. These date from 1822-1828. 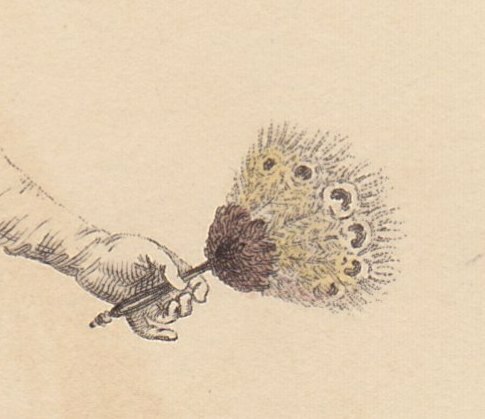 Full Dress, from Ackermann's Repository, December 1823--peacock feathers! 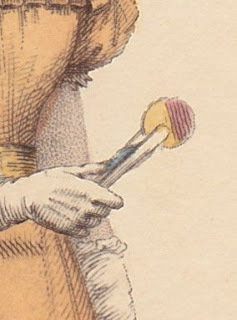 Ball Dress, from Ackermann's Repository, August 1824. Carved wood or ivory, perhaps? 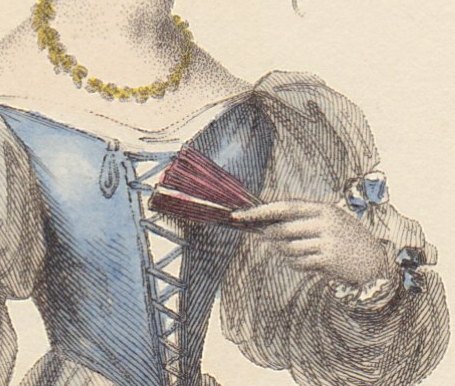 Ball Dress, from Ackermann's Repository, March 1825. This looks like a Chinese paper fan, does it not? 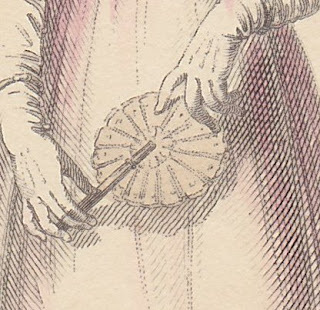 Evening Dress, from Ackermann's Repository, September 1825-- a "rainbow-shaded gauze fan." 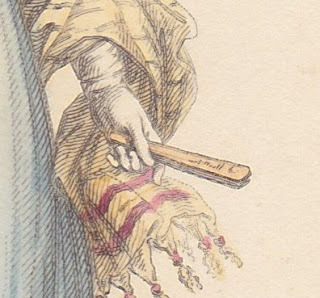 Dinner Dress, Ackermann's Repository, March 1826--another Chinese folding fan, perhaps? 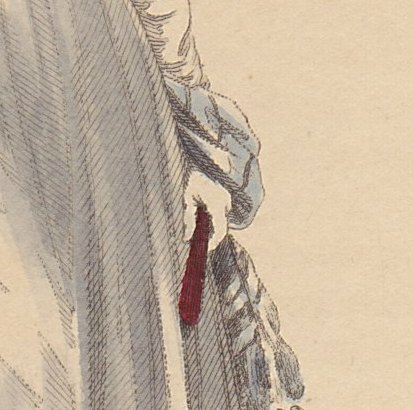 Evening Dress, from Ackermann's Repository, July 1826. Fan of red lacquer, perhaps? It would have been striking against this white and blue dress. 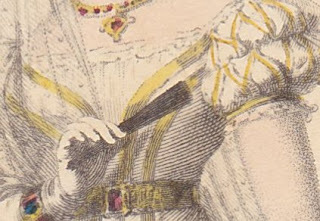 Evening Dress, from Ackermann's Repository, March 1827. 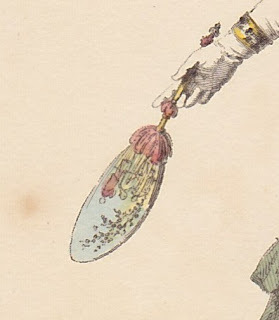 Another red lacquer fan--these appear in several plates over the next year. 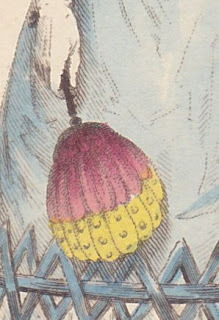 Evening Dress, from Ackermann's Repository, May 1827. Dyed feathers? 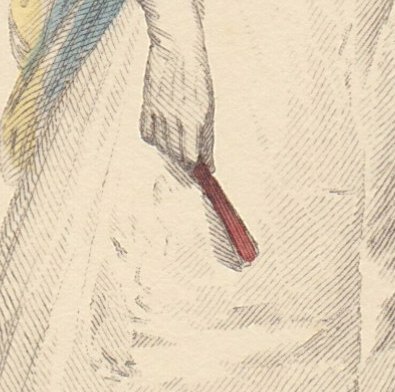 Evening Dress, from Ackermann's Repository, June 1827. 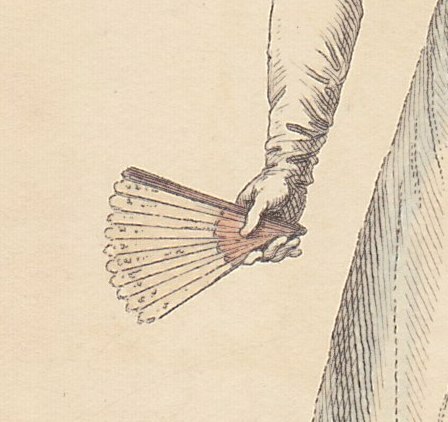 This isn't a mourning costume, so the choice of a black fan is interesting--again, a strong contrast ti the white and yellow dress. Which fan would you like to carry at your next ball?